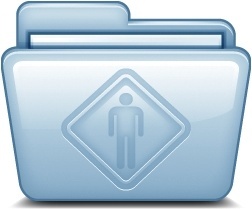 Blue Public icon in Mac Folders. Available size : 256x256, 128x128, 96x96, 72x72, 64x64, 48x48, 32x32, 16x16 in png format. Tags: Mac Folders, blue, public CC Attribution-Noncommercial-No Derivate 3.0Commercial usage: Allowed (Author Approval required -> Visit artist homepage for details).